In order to enter settings, you must tap Settings 1, followed by Settings 2, and lastly by Settings 3. This insures that you don't accidently go into settings while configuring your rocket to launch. It is recommended to dim the backlight on the phone during an actual launch. This will conserve your battery on the phone. Wait until you have the application fully configured before setting this option as the display becomes very hard to read. Record Video Turning off this option disables the record of video during the flight. You may want to turn this off if you are low on memory or there is no viewport to see outside on the rocket. 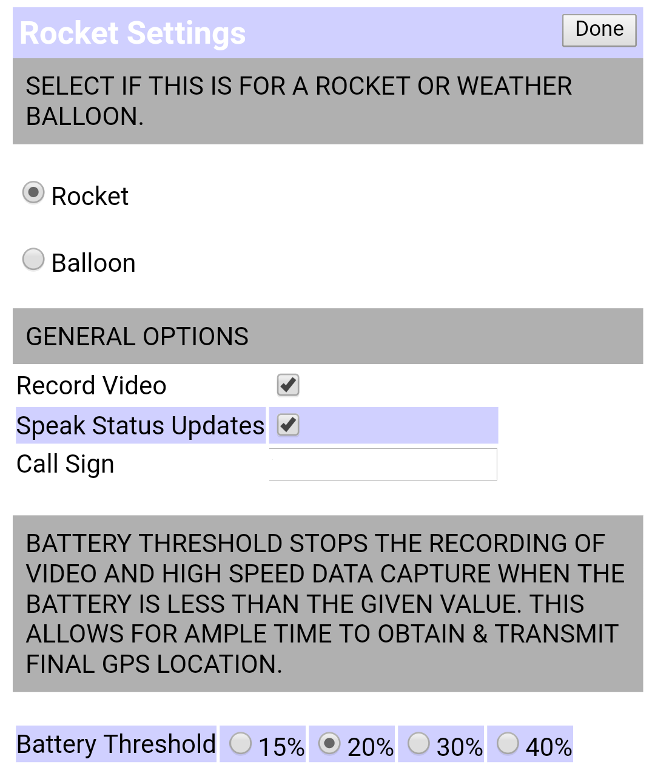 Speak Status Updates If you have a GRMS radio or a HAM radio, you can connect it directly to the phone's input and the rocket's launch details will be relayed! If you use this feature, make sure you have a GRMS or HAM radio license. This feature is also handy so that you know the software is still active and working while readying your rocket for launch. Call Sign This is where you would put your GRMS or HAM call letters. Battery Threshold Once this threshold is reached, the application will no longer record video or capture high speed data. This is in order to conserve battery life so that the GPS coordinates of landing location are preserved for a long period of time. 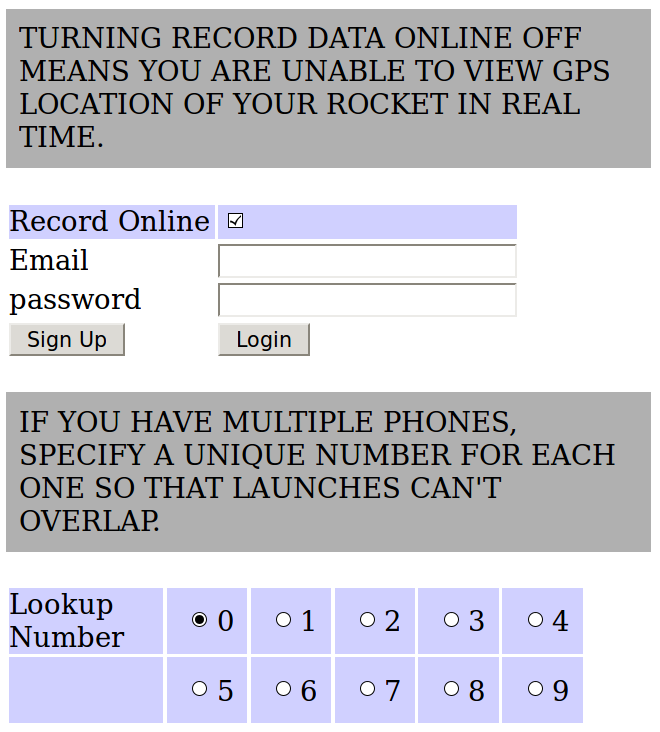 Record data online Turning off this function means you will be unable to view GPS location of your rocket in real time. You should disable this feature if: You phone has no carrier. You have no cell service in the area you are launching. Email Your email address that you have signed up to https://www.insanerocketry.com. Sign Up Tap this if you need to register in order to receive live telemetry data. Login Tap this to verify you have entered login credentials correctly. Lookup Number If you have multiple phones, you want to set this number to a unique value for each phone in your set. That way, your data never overlaps for the online function. 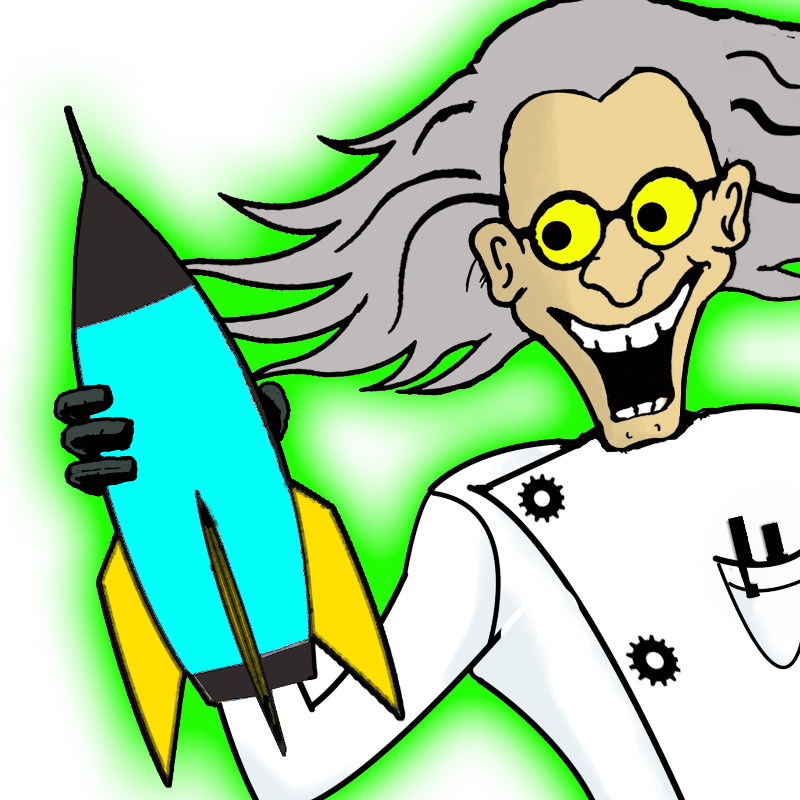 Upload Data Once the rocket lands, this option can be set to automatically upload the data file to Insane Rocketry. In order to do so, you must have proper login email/password. Balloon Settings are activated by tapping the Balloon radio button at the top of Settings. If you are planning a high altitude weather balloon project, insure you ground test your phone and electronics by placing them in your launch cooler and then placing the cooler in a freezer with all electronics on. It is best to use a test file of the same timelength as your balloon launch is expected to take. Contact jason@insanerocketry.com to obtain a test file. You don't run out of storage! Recording video for over 3 hours consumes a ton of memory. For example, if recording at 4k, 3.3GB is consumed every 10 minutes. You don't overheat your phone! 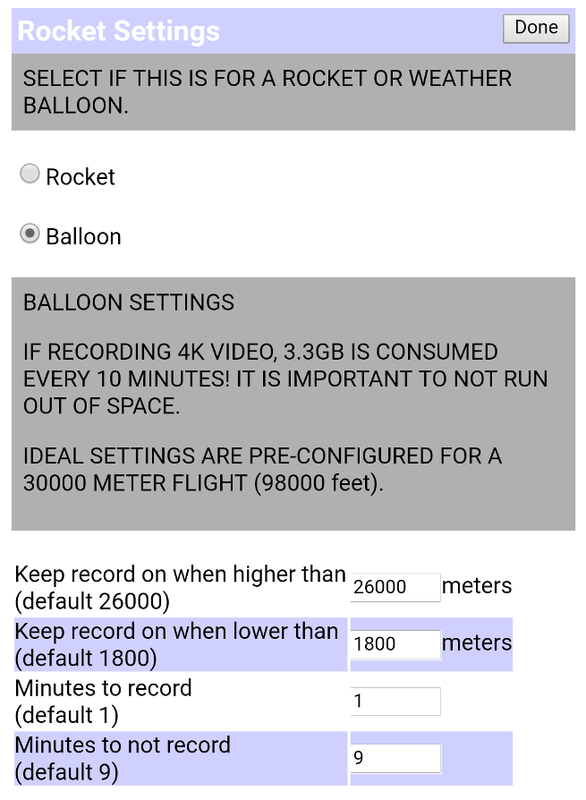 Recording video is processor intensive, insure you have tested prior to balloon launch to make sure your phone doesn't get too hot. Keep record on when higher than Once this altitude, in meters, is reached, video record will stay on continously. Make sure you give yourself some safety margin, you don't want to miss the balloon burst, but not so much you run out of storage capacity. Keep record on when lower than When lower than this altitude, in meters, video record will stay on continously. This allows an excellent view of initial ascent and final descent footage. The next two settings are related, when the altitude is higher than the Keep record on when lower than value, and lower than the Keep record on when higher than, these values are utilized. Minutes to record Amount of time to record, the default is 1 minute. If this value is 1, and the Minutes to not record is 9, For every 10 minutes of ascent, record occurs for 1 minute, idle occurs for 9 minutes. Telemetry is always gathered regardless of these settings. Minutes to not record Amount of time to not record, the default is 9 minutes. If this value is 9, and the Minutes to record is 1, For every 10 minutes of ascent, record occurs for 1 minute, idle occurs for 9 minutes. Telemetry is always gathered regardless of these settings.